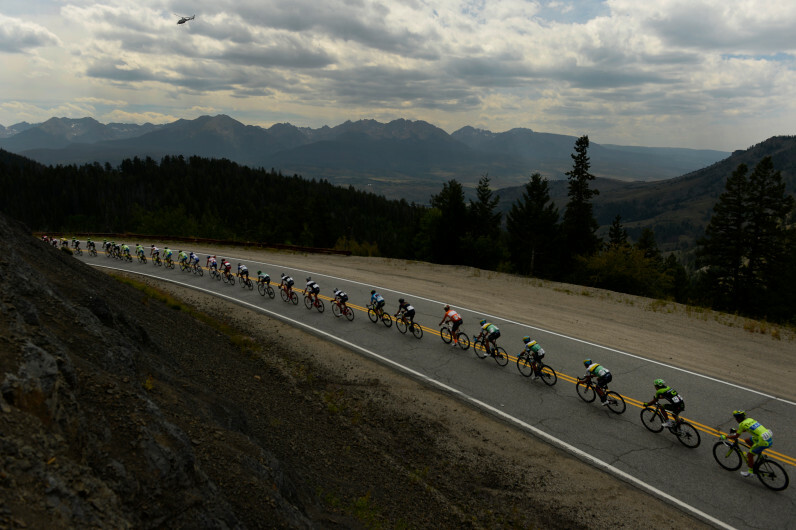 The USA Pro Challenge peloton makes its way down Ute Pass Road heading towards Silverthorne during Stage 2 of the race from Steamboat Springs on Aug. 18, 2015. The absence of the USA Pro Cycling race that reportedly pumped $130 million into Colorado’s economy had little impact on August traffic and spending in the race’s longtime host cities. Sales tax collections in Breckenridge, Aspen and Steamboat Springs climbed this August even without the race, which organizers said lured 1 million spectators every year since 2011. August 2016 revenues dipped in Vail, which last hosted the race in 2014. “In Aspen, we understood the race would be a long-term payout. With the television coverage, this was a long-term play for positive effects on our brand,” said Debbie Braun, chief of the Aspen Chamber Resort Association which helped organize the race in Aspen for five years.